British vacuum coating specialist company Idvac Ltd and Fraunhofer Institute for Organic Electronics, Electron Beam and Plasma Technology FEP, Germany, have agreed to jointly provide R&D services to the industry; Idvac is providing its know-how on a range of advanced metallizing processes, and FEP uses its pilot roll-to-roll metallizing equipment to provide samples and pilot production capacity to interested companies. Idvac Ltd., Manchester, UK is a leading company in the development of advanced metallizing processes for holographic, packaging and other niche markets. It was founded by Professor Nadir Ahmed in 2004. Over the past 10 years, Idvac Ltd. has been successful in developing and introducing new vacuum processes and technologies including HRI (ZnS), copper, chrome alloy, dry gold colour finish, colour shift, SnOx and other processes to the security and packaging markets. The company has a close link to UK universities. 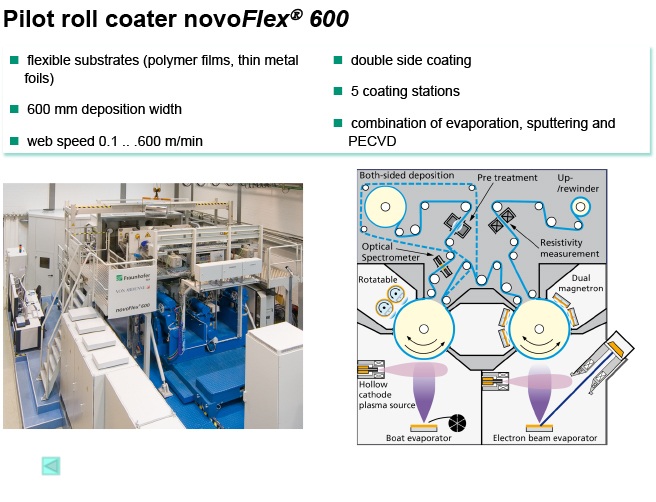 Fraunhofer FEP, Germany is a world leader in the development of advanced coating processes for various applications,in particular packaging and electronics. The core competences include electron-beam technology, sputtering, plasma-activated deposition and high-rate PECVD. Fraunhofer FEP offers a wide range of possibilities for research, development and pilot fabrication, especially for the processing, sterilization, structuring and refining of surfaces. The agreement followed a thorough discussion between Prof Nadir Ahmed from Idvac and Dr Nicolas Schiller from FEP. Dr Schiller is the Director of Flexible Products Division at Fraunhofer FEP. According to the agreement, Idvac will provide know-how, licenses, consulting and process retrofits for its range of advanced processes. Fraunhofer FEP provides its pilot roll-to-roll metallizing machine to offer samples, proof of concept and pilot production capacity. This collaboration will provide customized solutions that are specifically designed and produced to meet individual customer demands. The collaboration will enable the combination of Idvac know-how with FEP’s technologies for the development of advanced products to meet present and future demands. Professor Ahmed believes: “Idvac and Fraunhofer FEP have the state of art technologies for applying high quality advanced metallized products onto flexible substrates to provide unique products with special environmental durability and functional applications. We look forward to working with FEP to develop and launch advanced flexible film products that incorporates unique features soon”.